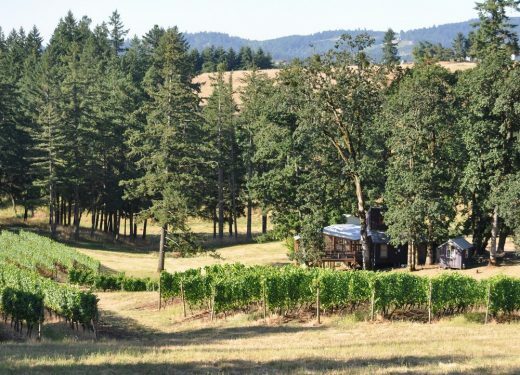 This is a winery in Oregon producing Pinot noir wine. A new open air screened porch tasting room as part of a 15-acre Chehalim Hills winery established in the 1970s. The screen porch at Trout Lily vineyard is a 300 s.f. 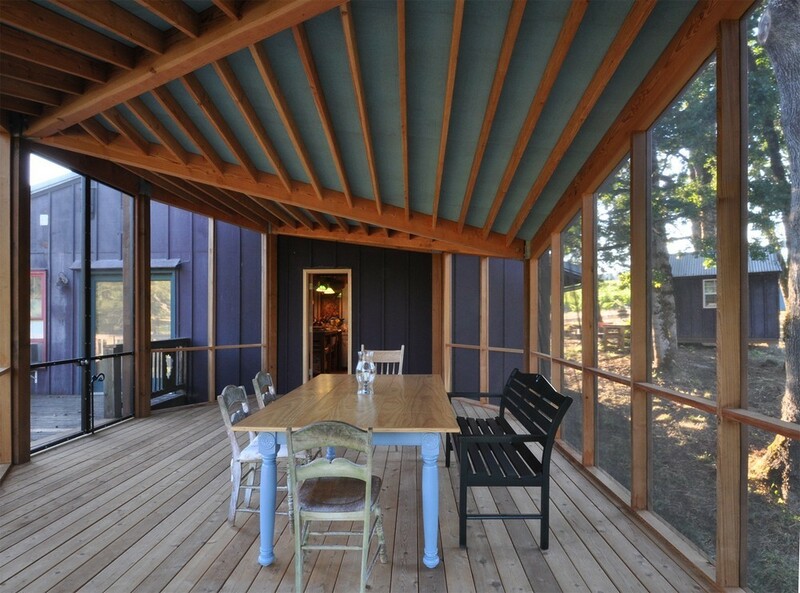 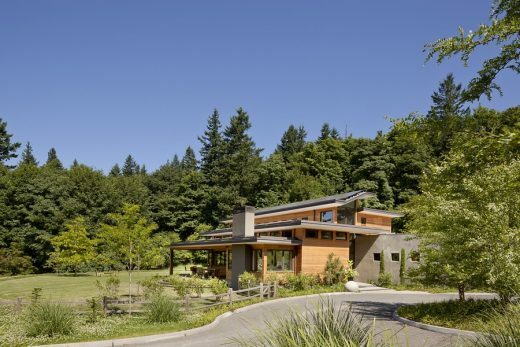 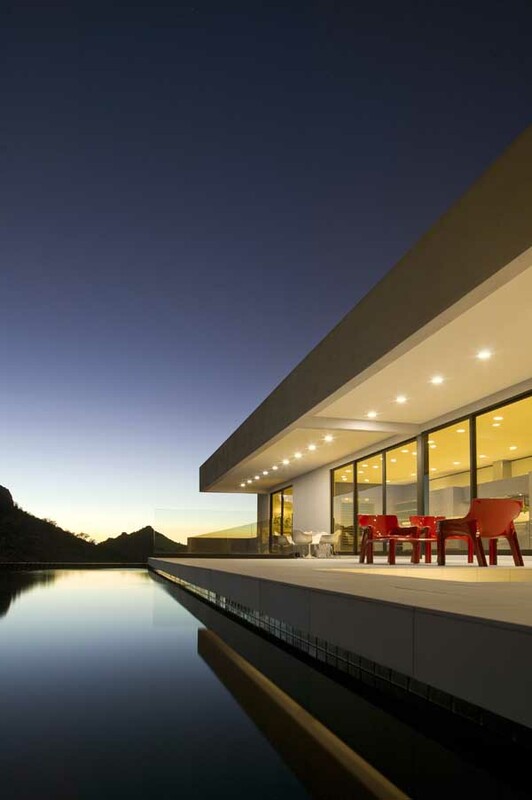 open-air structure designed to enhance the experience of life in Oregon’s wine country. 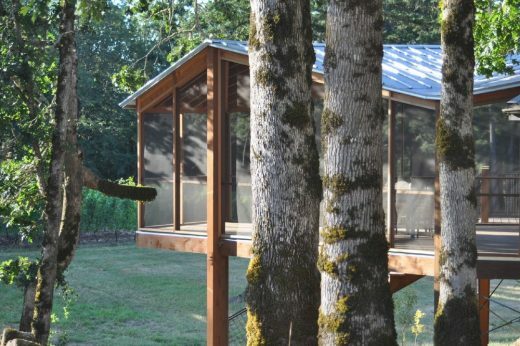 Commissioned by a family that loves working, cooking and entertaining outdoors, the project is a carefully crafted solution to a basic problem that is a simple part of life in an agricultural zone: bees, wasps, and flies. The vineyard is located on the south-facing slope of the Dundee Hills, just above the town of Newberg. 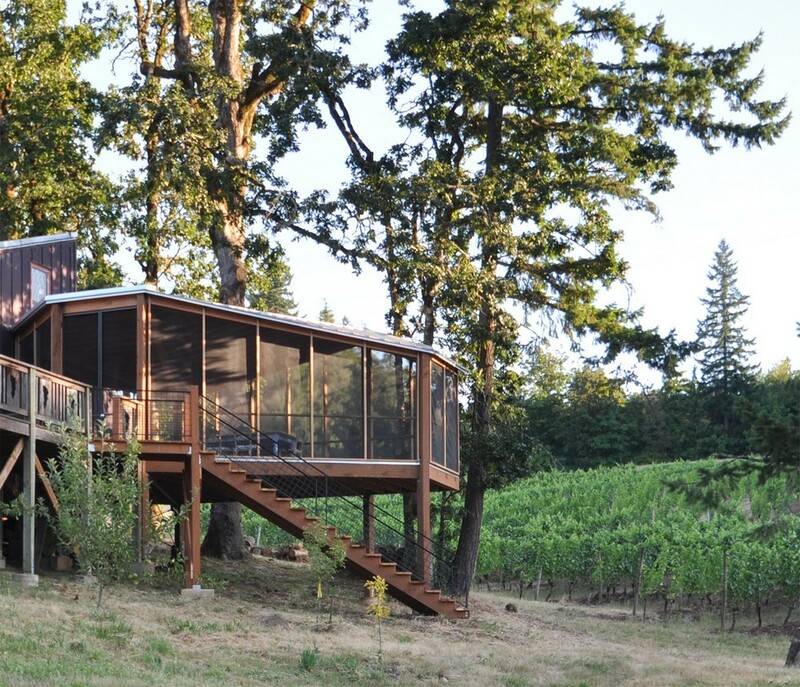 The project is situated next to a small loft cabin that was built near the Southeast edge of the vineyard parcel in the early 1970’s. The cabin is built on sloping ground, surrounded by planting rows, and marked by several mature oak trees. The program for the screen porch is a flexible, multi-purpose indoor/outdoor room directly accessible from the kitchen, to be used day and night. 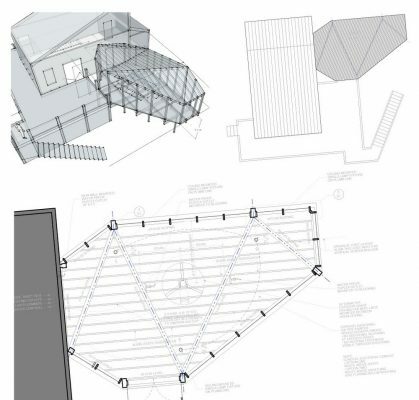 The porch connects to an existing exterior deck and the project also provides a new staircase for direct access from the deck level to the ground below. 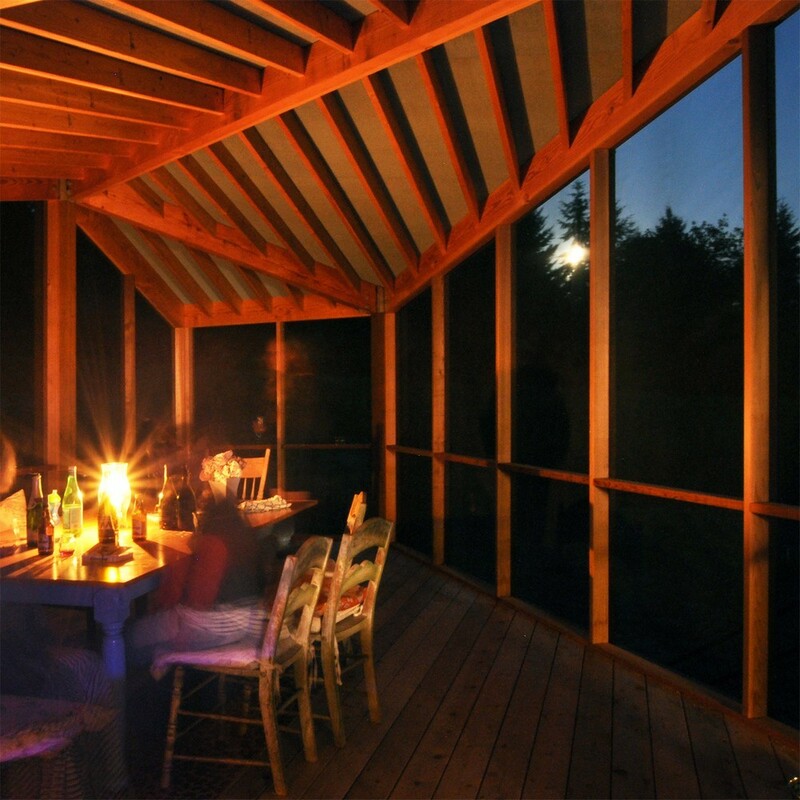 We designed the porch as a freestanding heavy-timber frame with custom steel connections. Like the cabin and other surrounding agriculture buildings, the new building will be characterized by rustic painted and weathered wood, and roofed in economical galvalume sheet metal. 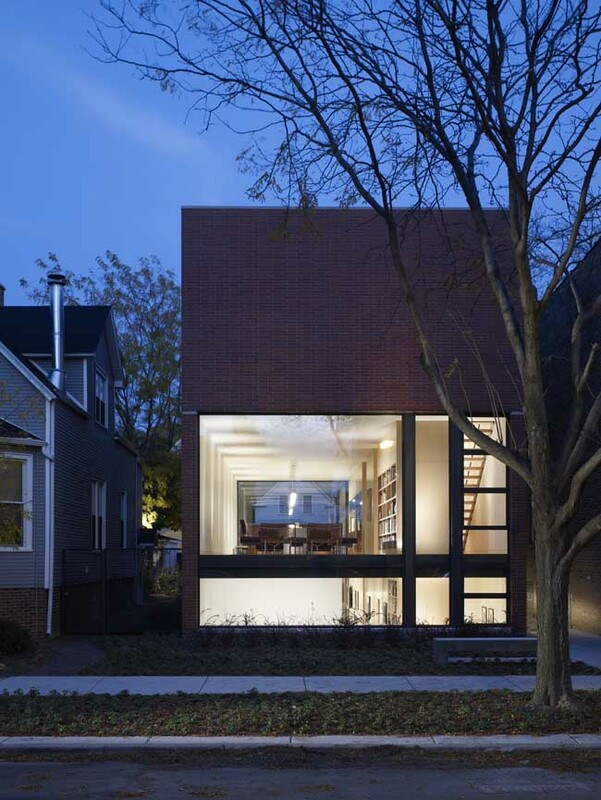 In addition to these practical considerations, the experiential concept for this design is two-fold. 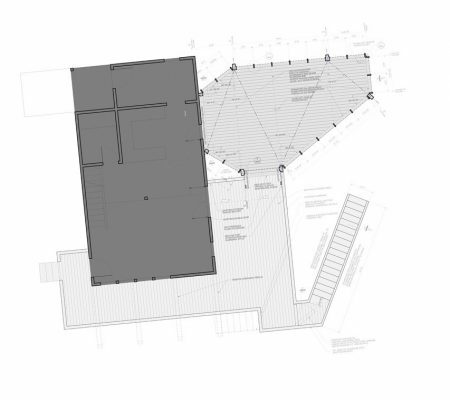 First, we want to create a spatial experience that is simultaneously dramatic and intimate. 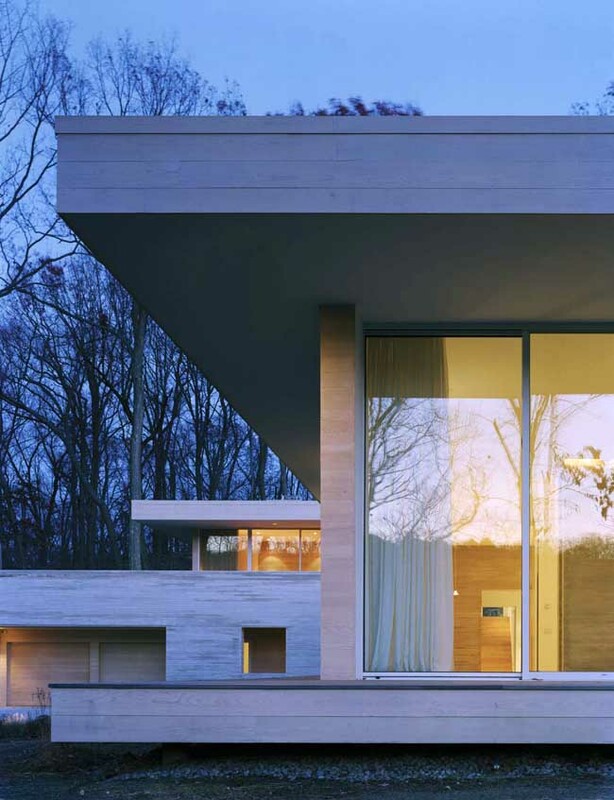 To take full advantage of the picturesque views and create an elevated viewing platform for a future pond, the porch is conceived as a prow that stretches out into the landscape, providing 270° degree views of the surroundings. 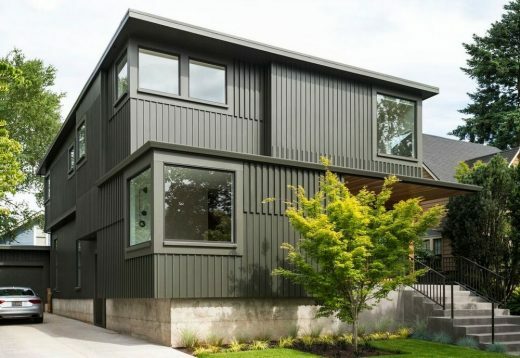 To provide a sense of enclosure, the floor plan and roof are sculpted to create a rounded form that gently bends inward at each corner and eave. 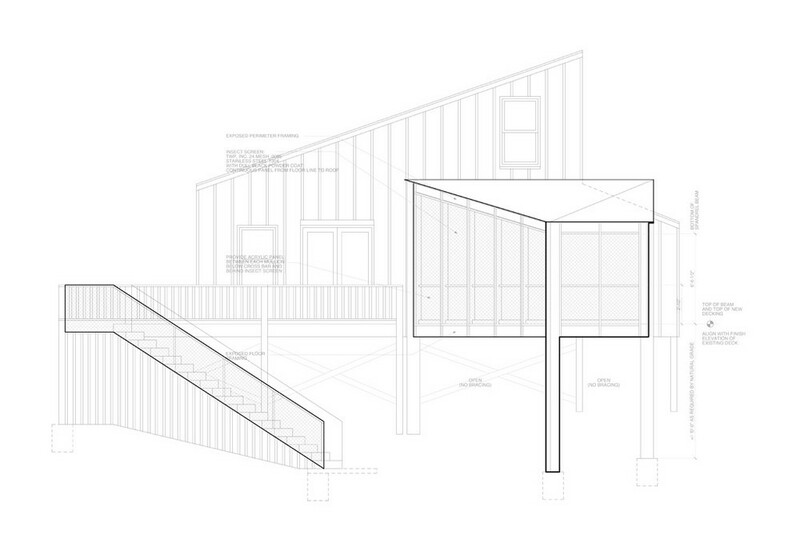 Second, and perhaps more importantly, we aim to create a structure that honors and evokes the story of the place and property. 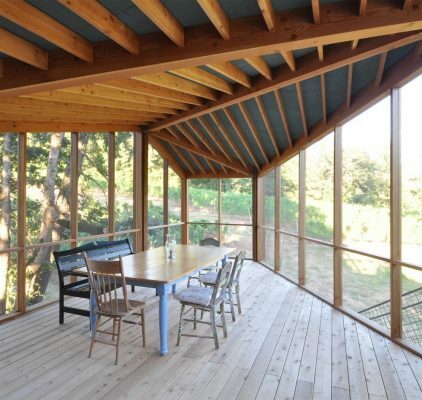 The character of the place is rustic but rigorous. 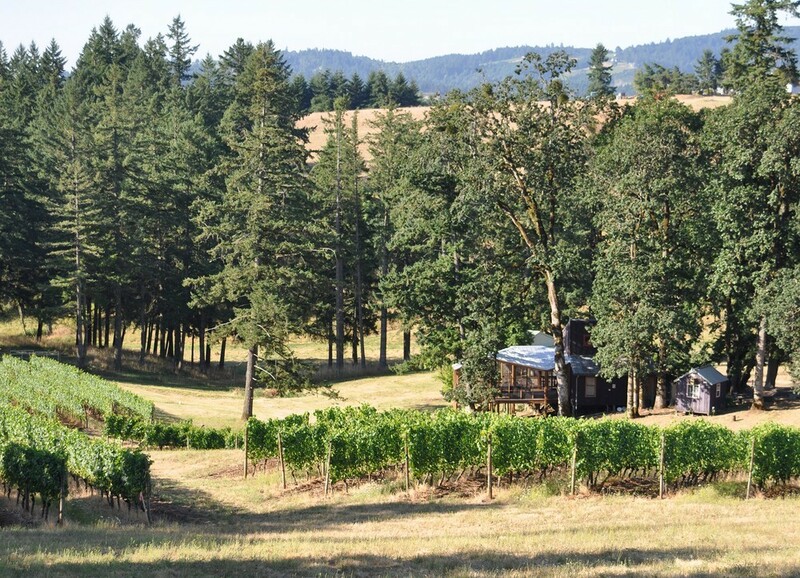 Like many working agricultural environments, Trout Lily vineyard is defined by the interaction of natural and man-made geometry evolving over time as plots are planted and buildings and sheds are built. 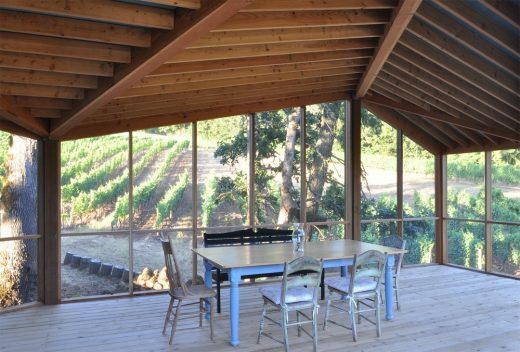 The root of our design is an earthy zig-zag structural gesture that echoes both the organic nature of the surroundings and the lifetime work of creating a productive vineyard.